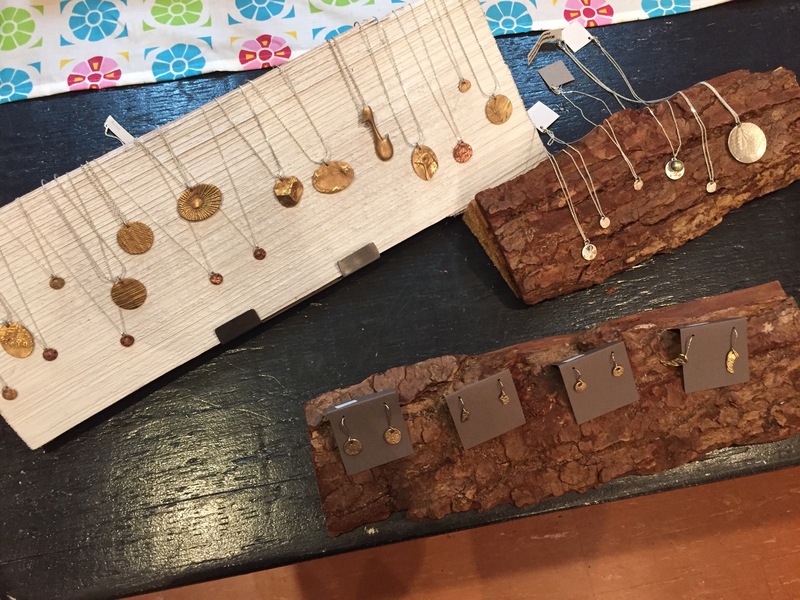 Tonight’s trunk show was a sharing of common ground of likeminded and talented individuals that I am proud to call my friends. 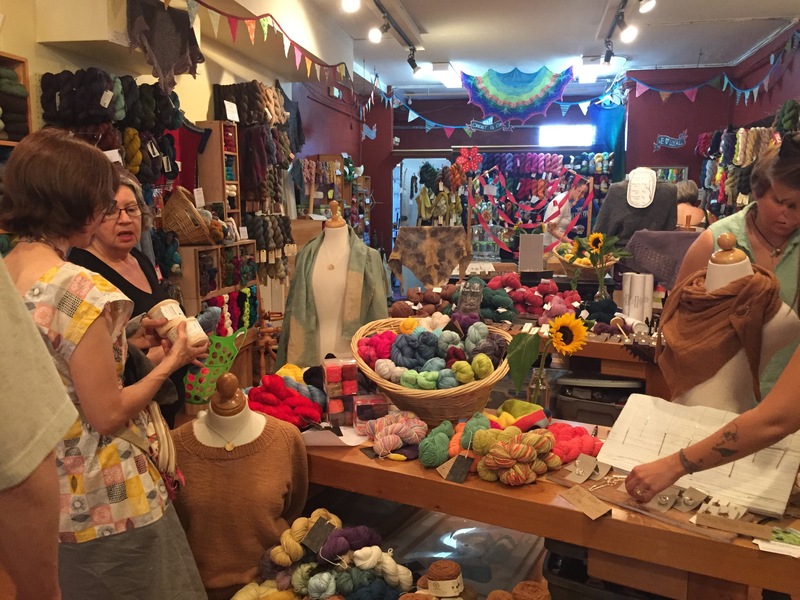 In addition to the amazing Caitlin Ffrench, Kristan MacIntyre and Heidi Braacx who you can read about here, a number of the city’s most talented knitters, crocheters and fibre artists stopped by to share stories and stitches. 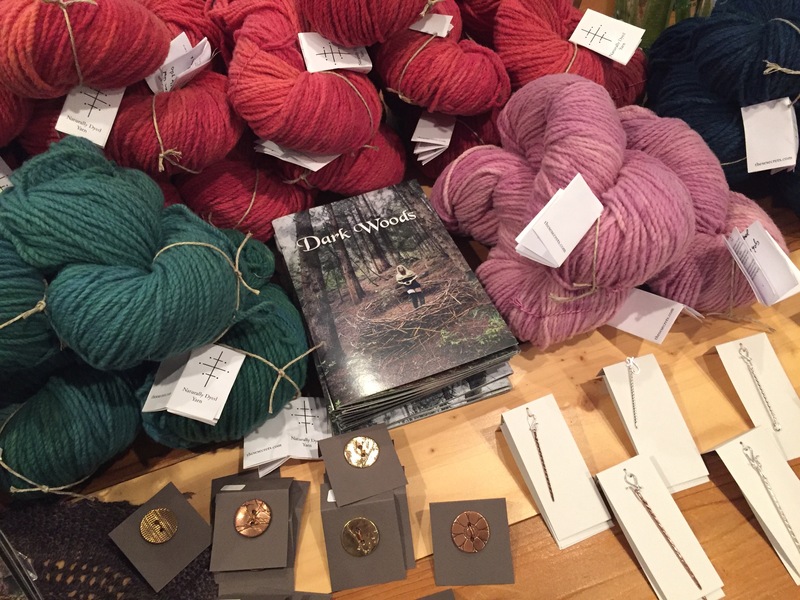 So excited about our restock of Caitlin’s Our Secrets yarn and Dark Woods book. 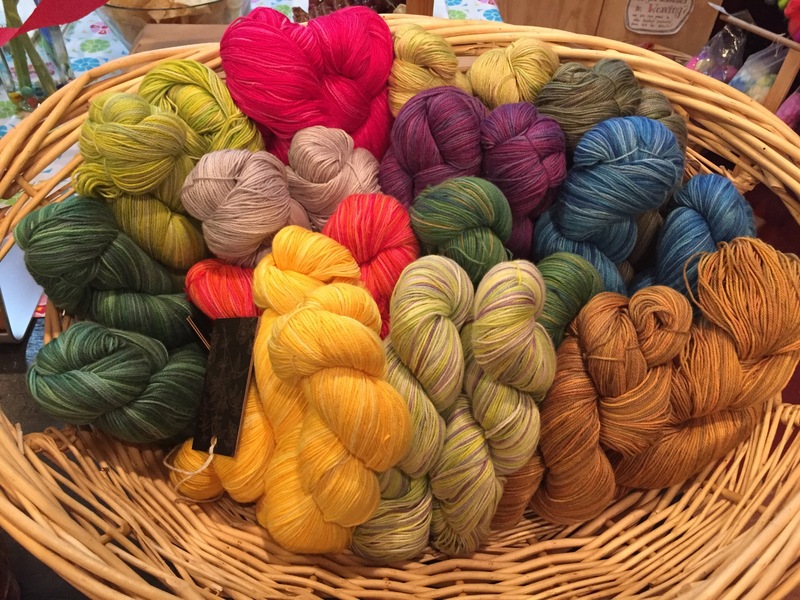 All the pretty pretty Vegan Yarns. 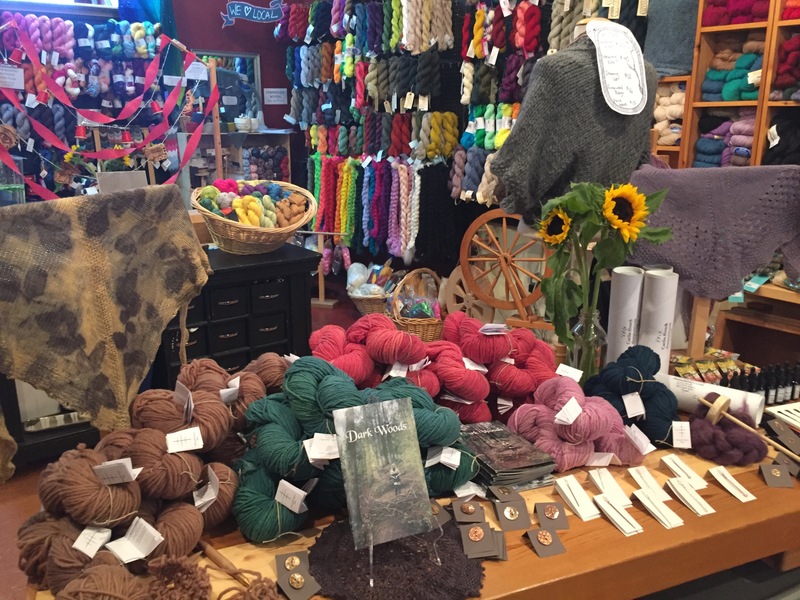 We got some gorgeous locally handmade knitters’ jewellry. 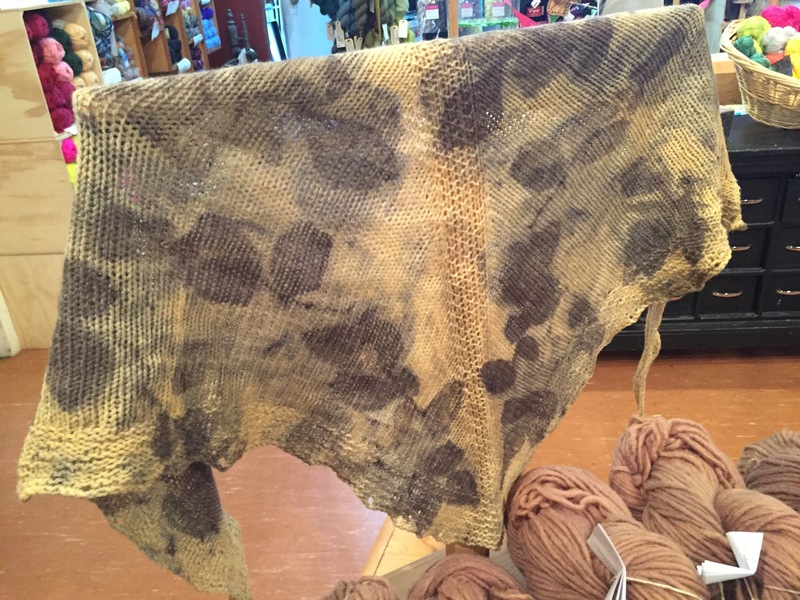 And just a little eye candy… check out this eco-dyed handknit shawl.Caitlin has a step-by-step pattern on Ravelry to help you knit and dye your own!